Surf, sun, and fun, that’s Bocas del Toro, Panama, in a nutshell. For the many drawn here by cerulean Caribbean waters and immaculate white sands, Bocas does not disappoint. You can spend days motoring out to uninhabited islets straight out of a picture postcard. Dig your toes into soft sands surrounding deep green jungle foliage…snorkel the crystal-clear waters…or lay on a hammock on an over-water deck. Evenings are for sipping piña coladas (made with real coconut, not that stuff in the can) as you take in a bit of live music or wait with anticipation for the best red snapper of your life. It’s all about getting on island time so you can de-stress and relax. I don’t recommend buying property—especially not without living here for a while first. Much of what’s available for sale is untitled right of possession (ROP) land. If you buy it, you risk losing it should another claimant (or several) come along. And island living has its challenges. Bocas gets more rain than any other part of Panama—around 120 inches a year. The main island, Isla Colón, is home to a domestic airport and dozens of hotels and restaurants. There’s one bank (and one ATM), a slew of small grocery stores, and a small public clinic. You won’t have the kind of variety you may be used to in terms of food and shopping. But then again, we’re talking lush Caribbean with a much lower cost of living than better-known hot spots like The Bahamas. Not just that, it’s completely outside the hurricane belt, a one-hour flight from cosmopolitan Panama City, and right now…Isla Colón is a fantastic place to rent. 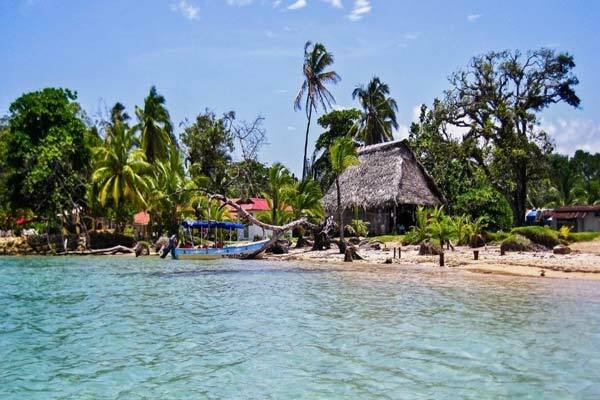 Bocas del Toro, an affordable Caribbean paradise island. I’m just off the boat from my latest stint in Bocas and I can’t think of a better place to test drive your dream Caribbean lifestyle. The expat community is welcoming, it’s organized, and it gives back. A few days is all you need to start networking, making friends…making a life. You can do it for very little. Take for example one house described by the owner as a “cute Caribbean cottage.” Would it be a cramped, ramshackle cabin or something an expat would be happy in? I never make assumptions…you just have to go and see. And I’m glad I did. I couldn’t believe what good value the owners were offering for just $525 a month. The former caretaker’s cabin has been redone and couldn’t be more pleasant. There’s a small bedroom with a nice big bed, a small office just off the sitting room, and a cozy kitchen—not a kitchenette, but a full kitchen with regular-sized stove and small breakfast bar. The cottage is in a small community of larger but similar-looking wood homes, with lush grounds, and friendly expat neighbors. Oh, and the rental price includes utilities. And this wasn’t the only good-value rental I saw. Smaller homes for rent have proliferated and that means you can take your pick. One fully-furnished condo is on offer for $600 a month…the price includes WiFi and water. There’s air conditioning as well—you pay your power bill. Sometimes expats will sublet long-term, offering even lower prices, particularly if you are willing to pet-sit. One expat listed her home for just $400 a month. It’s a fully-furnished, two-bedroom home with a garden and balcony. 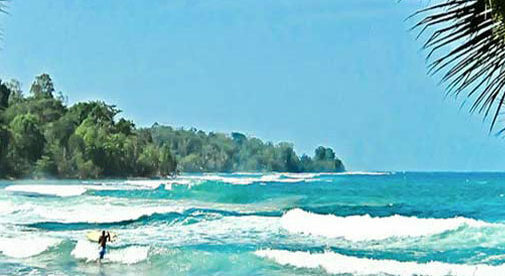 She was planning to be away for five months…plenty of time to sample life Bocas-style. If you’d like to share, I saw a few rooms offered for as little as $200 a month. These were nice, newly built or refurbished homes with private bathroom and WiF i included. It’s an eco-friendly property with composting toilets and water catchment (city water is also available). A large storage area has plenty of room for your bikes and boxes. There are papayas, banana trees, herbs, roses, and much more. Local fauna includes macaws, hawks, and eagles. The point is, you have choices now in Bocas—whether you want to be in the busiest part of town, near the airport and panga water taxi marinas, or in the quieter areas that make up the bulk of the island. Tourists are visiting in increasing numbers and English is widely spoken. There are expats of all ages, both working and retired. And you can live here for way, way less than in virtually any other Caribbean destination with comparable infrastructure.